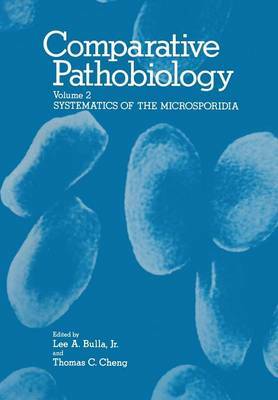 Volume two of this series is a comprehensive review of the current knowledge of microsporidian taxonomy. It is a supplement to volume one that deals with the biology of the microsporidia. Together, they provide the broadest possible coverage of this group of microorganisms that has received considerable attention because of their importance in invertebrate and vertebrate disease. Volume two contains the most complete published list of micro- sporidian species, outlines their classification and phylogeny, and provides a zoological distribution. The driving force in compiling all of this information was Victor Sprague of the University of Maryland. Dr. Sprague has spent his scientific career researching many different facets of micro sporidia and no other person is regarded as expert as he. Certainly, the wealth of information contgined herein cannot be found elsewhere in any single coverage. Therefore, the publi- cation of Volumes one and two sets a milestone for microspori- diology and it is our hope that the readers of these two volumes will share the enthusiasm of the authors and contributors and will reap rich reward from their unique and profound insight. Lee A. BuZZa~ Jr.